I feel like I'm entering a war zone writing about this topic: being a soprano in a choir. There are so many preconceived notions about sopranos. Let's get those stereotypes out of the way now. We sopranos don't have ears. We just sing the melody. We don't have brains. We're divas. We always sing sharp. We always sing flat. We have vibrato the size of a donkey. The minute we read harmony the world falls apart. The list goes on and on and on. It's OK. In their careers, a lot of musicians have met that one soprano who simply ruined it for them. We've all met her. She's ruined it for all of us. Sure, maybe she was oblivious and self-centered. But maybe she was having a hard day because she was a little tired of leading her superhero life. Yes, sopranos are superheroes: It's a bird! It's a plane! It's a half-woman, half-boy! Wow! Maybe she had spent the morning practicing Britten's "Come Now Aroundel" and Mozart's "Durch Zartlichkeit" in her full, rich, trained, womanly voice for her upcoming audition. But then, on her way to her choral rehearsal, she had to lose 20 years and switch genders to go rehearse Harris' "Fair as the Heaven." My favorite story was when I was rehearsing the "Kyrie" from Haydn's Lord Nelson Mass, and I was asked if I could sing it a little more gently? With less vibrato? A little less dramatic? Maybe she was upset because unlike her colleagues who went out for beers and queso after last night's performance, she had to go home quietly — and starving — because she needed to get up and sound like a boy again the next morning. Or she was bummed because she did have a little hummus after the concert and — dang! — that does give her reflux! Or maybe she was upset because she overheard a bass or an alto saying, "Sometimes, it's just better if I don't warm up." And she thought about all the things she could have done with her time if she had those 45 minutes (a day) back. There are many sopranos across the country who can vouch for this. Here are a couple thoughts from two of my favorites. Stefanie Moore from Baltimore says, "We must have an understanding of choral technique and solo technique and be able to switch back and forth. We have to have the ability to sing the word 'birthday' on a high Q-sharp. The hardest part is stamina. Can you rehearse a pianissimo unison with nine other girls over and over because the tenors are singing the wrong notes and not lose your temper? I mean, who could?" Kathlene Ritch from Santa Fe echoes my pain: "It's not easy to be the top part. You are so exposed, and you're expected to float, sing like a boy, then change to Verdi size, all within the same piece." Thankfully, there are many choral directors who fully understand this and who seldom ask this of you. I get to sing for many of them! But the truth is, this reality exists for a reason because we all at times like that sound! Even we sopranos do! Can you imagine Tallis' "If Ye Love Me" á la Anna Netrebko? There are times when we all cave in after 20 minutes of trying to tune something and just ask if we can sing it straight tone. Please. Anyway, just give that soprano a day (and maybe a beer and queso after the last concert). She'll remember why her part is awesome. It all comes down to this: Can you even imagine a world without the soprano line? "Hey you know that one piece? It goes like  um, well you know  that one part." Sonja Tengblad is a Minnesota-born soprano who sings full-time in Boston and around the country. 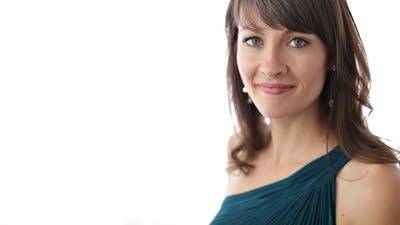 She sings with ensembles such as Conspirare, the Yale Choral Artists, the Oregon Bach Festival Chorus, Blue Heron, and the Lorelei Ensemble. Solo highlights include La Fortuna and Giunone in Boston Baroque's production and recording of Monteverdi's Il Ritorno d'Ulisse in Patria, Handel's Samson (Israelitish woman) and Purcell's King Arthur (Cupid), both with the Handel and Haydn Society, and Knussen's Second Symphony with the Boston Modern Orchestra Project. She has performed at Carnegie Hall and Lincoln Center with the New York City Chamber Orchestra. 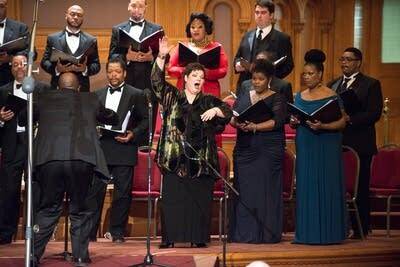 Before moving to Boston, she proudly sang with the VocalEssence Ensemble Singers. She is a student of Anton Armstrong and Sig Johnson at St. Olaf College, to both of whom she is forever indebted. We're giving away CD copies of Impermanence, the most recent CD from the female vocal group Lorelei Ensemble, which includes soprano Sonja DuToit Tengblad, who wrote this essay. Enter by 9 a.m. central on Feb. 22, 2019. Winners will be drawn at random. Don't forget to check the box to sign up for the Daily Download newsletter, so you never miss a free classical track each weekday!